Adirondack Natural Stone: Thin veneer river rock fireplace built by Norm Hebard~ nice work Norm. 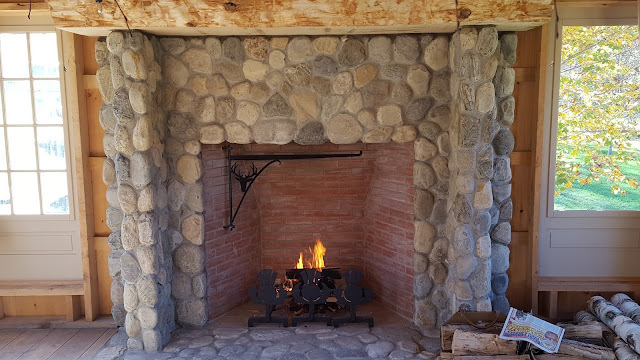 Thin veneer river rock fireplace built by Norm Hebard~ nice work Norm. Today's wintry but sunny view at the stoneyard.